Specialising in the design and construction of the highest quality concrete flooring throughout the whole United Kingdom. You can rest assured that Level Best will cover every aspect of your Internal Concrete Flooring requirements. We cover everything from the very first Design to the Maintenance and cleaning of your completed floor. Level Best Concrete Flooring Contractors offer a wealth of in-house expertise and experience in all methods of external concrete flooring. FRS makes your concrete floor shine once more by removing the microscopic layer of unwanted substances that are making the floor look dirty, weary and tired and giving it a polished look which allows it to look as good as new, if not better. Level Best are one of the leading Industrial Concrete Flooring companies in the UK. With over 30 years experience in industrial concrete flooring you can be safe in the knowledge that you are choosing only the best for your job. 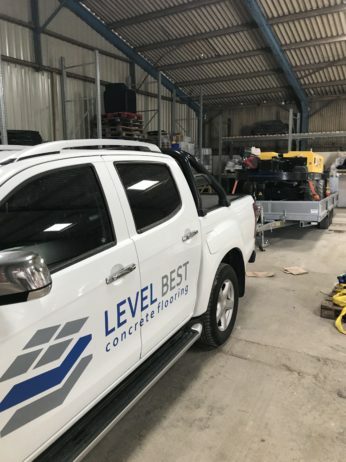 Level Best Concrete Flooring carry out the design and construction of quality industrial concrete floor slabs and numerous different types of concrete floor repairs, including the removal and replacement of damaged concrete floors and external yards. The concrete contractor prides itself on its innovation within the specialist field of concrete flooring, in particular the latest in concrete floor design technology. Utilising the combined technology of both steel fibre and steel fabric mesh solutions, Level Best Concrete Flooring are able to offer clients the most suitable long term solution in industries such as biomass, waste recycling, agriculture, warehousing and logistics. 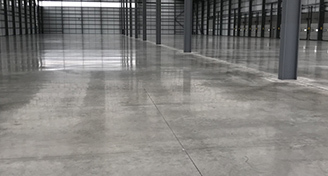 Level Best Concrete Flooring are an industrial concrete flooring contractor who carry out a wide range of activities all relating to concrete floor slabs. These services range from new cast insitu concrete slabs, to concrete floor repairs and the full removal and replacement of either internal or external concrete floors. We carry out a concrete flooring contracts ranging from values of £3,000 to £1 million pounds and work throughout the United Kingdom. We pride ourselves in being extremely innovative in the concrete flooring market, utilising the very latest floor slab design technology available. This floor slab design technology allows Level Best Concrete Flooring to provide clients with a full “one stop shop” package in terms, utilising our full design and construct services. Level Best Concrete Flooring was conceived in 2017, but the Directors, staff and concreting teams, have been involved in concrete all of their working lives. At Level Best Concrete Flooring we have a simple strategy which we hope will take us forward for many years to come in the field of industrial and agricultural concrete flooring. We are constantly investing in research and development looking at new concrete flooring systems which we will continue to offer to both new and existing clients. This investment also includes the purchase of the very latest in laser screed technology, powerfloats and other essential concrete flooring equipment. We always aim to achieve the highest standards in terms of timescales, quality and value for money to ensure our customers want to come back for more. We pride ourselves in our innovation and offer floor slab design technology at very early stages and on numerous different types of usages to assist in the conception of projects at the initial design stages. Level Best Concrete Flooring Limited are looking for bright and enthusiastic Concrete Flooring specialists to assist in the smooth running of their busy flooring company. The right candidates will be IT literate, personable, excellent organisation skills, have a full driving licence, capable of working under pressure, self motivated and a team player. This person will receive our own “in house” training, competitive salary and the opportunity to work in a young and ambitious local industrial concrete floor contracting company. I would like to reiterate again that it has been a pleasure working with you and the team, and we hope for another opportunity to work with each other again. There was a significant amount of work required in the design and logistics, Level Best were extremely helpful in assisting us with technical advice. Further their team were highly efficient and there were no issues with the stringent Health and Safety culture on the project. We would 100 % work with Level Best concrete flooring again and we were impressed with the quality of work and the specialist equipment provided. Level Best carried out the floor renovation to an extremely large warehouse in Northamptonshire for me in 2018. The floor space was 350,000 square feet in size and they managed to complete all of the repairs, bolt holes, floor polishing and cleaning within the clients timescales. The quality of the finished product was amazing and we would recommend Level Best highly. The job looks excellent and we would have no hesitation of using you again. Thanks for the work at Keighley – finished product is very good. I would just like to express my thanks for your prompt response to help us out at fairly short notice at TSC and for your staffs no fuss attitude and work ethic yesterday. We will be in touch shortly to discuss an upcoming project with you both. 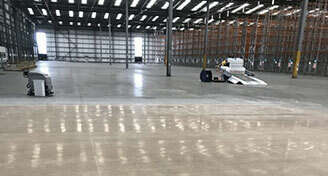 We appointed Level Best Concrete Flooring Limited to carry out the design and construction of the internal warehouse concrete floor slabs for our contract at CePac, Goole, East Yorkshire. It was the first time we have worked with Level Best and the standard of work carried out was to the highest quality and our client was extremely impressed. We have since used Level Best on three other successful concrete flooring projects. Level Best Concrete Flooring has carried out numerous different types of concrete flooring contracts on behalf of Stainforth Construction. Level Best has always achieved a quality end product within the timescales agreed and we will be continuing to use them in the future. The structural engineers said it was the best power floated finish he had seen. Thank you for works carried out. Look forward to be working with you again on our next project. I have worked with Jon Wilcox for 16 years now and he has always provided my clients and I with quality concrete floor slabs. Jon shows tremendous attention to detail and I hope to be using his companies services for years to come. The lads worked hard, worked safely, always had correct PPE, always booked in and had clear communication with the controller, arrived early and left late. 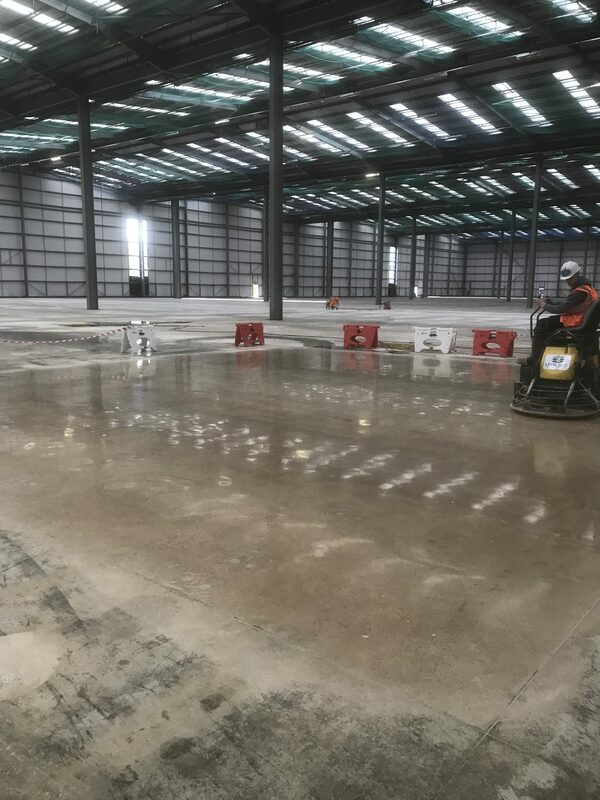 Level Best Concrete Flooring were able to meet our incredibly tight programme and short turnaround working through the weekend to ensure that the concrete floor slab was completed on time. From start to finish they were extremely flexible and understanding of our circumstances and we wouldn’t hesitate to use them again in the future. Our company has been extremely impressed with the way in which Level Best operate. From start to finish there company has been a pleasure to deal with and we are very happy with the end product. We contracted Level Best Concrete Flooring to carry out the design and construction of a suspended jointless steel fibre concrete floor slab on our behalf. 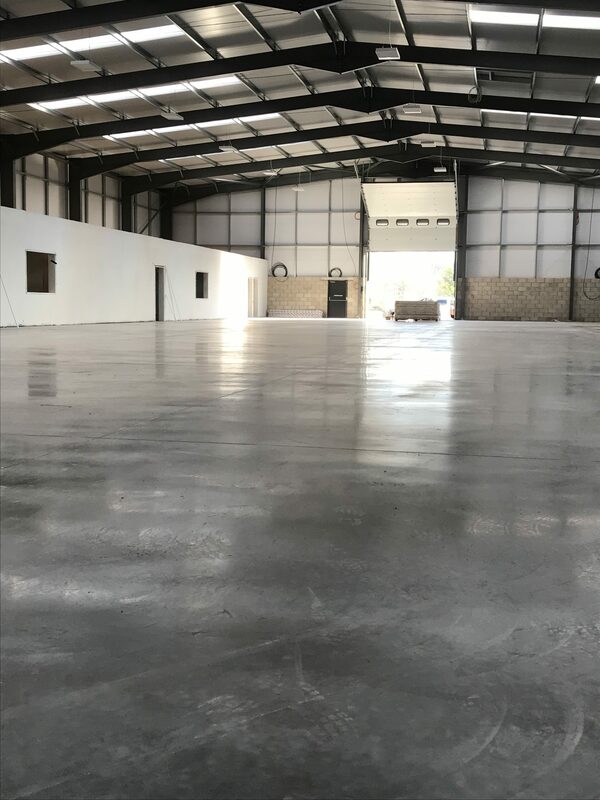 The concrete floor slab was installed on time and within budget to the highest standards possible and we would not hesitate in using them on future contracts. 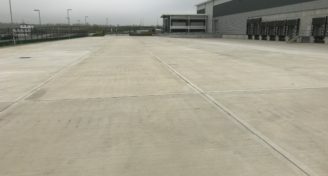 We contacted Level Best Concrete Flooring at extremely short notice and one of their concrete flooring estimators immediately came out to visit and survey the problems we were having with our concrete floor slabs. The concrete floor repair works had to commence early on Saturday morning to allow my business to operate successfully without any downtime. Level Best left us a very clean, tidy and professional job and we will be contacting them again soon to carry out more concrete flooring repair works during our next shutdown period. "I have recently used Jon Wilcox and his company for 3 major industrial warehouse concrete floor slab projects. On each occasion Jon and his team performed admirably and as such the client wants us to use them for the concrete slabs on any new warehouses we construct in the future. I would have no hesitation in recommending Jon Wilcox's company to prospective clients for him." "Jon has carried out all of our warehouse concrete floor slabs over the last 10 years, we have complete trust in him and his colleagues abilities to provide a quality industrial concrete floor slab. We wish Jon Wilcox and his team well for the future and hope to be providing lots more work for him in the future.."
"I would like to thank you for your hard work and efforts whilst managing the internal warehouse and external concrete yard subcontract packages at our Doncaster Logistics Centre site. Your efforts to accelerate the already tight programme and diligence in ensuring a very high standard of quality finish has not gone unnoted within our company. We will definitely be contacting you again if we have another contract in your line of work." We cover every aspect of Industrial Concrete Flooring repairs, installation and maintenance through the United Kingdom, and pride ourselves on tendering, designing and building the very best solution to suit your requirements. You’re not going to hit a ridiculously long phone menu when you call us. Your email isn’t going in the the inbox abyss, never to be seen or heard from again. At Level Best, we provide the exceptional services we’d want to experience ourselves.